Insurance is not new business in Bangladesh. Almost a century back, during British rule in India, some insurance companies started transacting business, both life and general, in Bangal. Insurance business gained momentum in East Pakistan during1947-1971, when 49 insurance companies transacted both life and general insurance schemes. These companies were of various origins like British, Australian, Indian, West Pakistan and local. Ten insurance companies had their head offices in East Pakistan, 27 in West Pakistan, and rest elsewhere in the world. These were mostly limited liability companies. Some of these companies were specialized on dealing in a particular class of business, while others were composite companies that dealt in more than one class of business. The Government of Bangladesh nationalized insurance industry in 1972 by the Bangladesh Insurance (Nationalization) Order 1972.By virtue of this order, saves and except postal life insurance and foreign life insurance companies, all 49insurancecompanies and organizations transacting insurance business in the country were placed in the sector under fie operations. In Bangladesh, the Insurance business, after an early stage of dislocation, adventure and experimentation through half a century has now being established as a nascent industry distributed between the public and private sectors. Insurance business evolved in the Indian subcontinent late in nineteenth century when several business companies started their business and a few Christian missionaries began to operate mutual funds to serve their own community members. From Bangladesh perspective insurance business was not a promising sector in its early age but it is getting its pace day by day with the growth of overall economic condition of the country. The privatization policy adopted in the 1980s paved the way for a number of insurers to emerge in the private sector. This resulted in a substantial growth of premium incomes, competition, improvement in services, and introduction of newer types of business in wider fields hitherto untapped. Up to 2000, the government has given permission to 19 general insurance companies and 10 life insurance companies in the private sector. Insurers of the country now conduct almost all types of general and life insurance, except crop insurance and export credit guarantee insurance, which are available only with the Shadharan Bima Corporation. Numerous institutions, associations and professional groups work to promote the development of insurance business in Bangladesh. Prominent among them is the Bangladesh Insurance Association (formed on 25 May 1988) having 30members. It aims at promoting, supporting and protecting the interests and welfare of the member companies. Another example is Bangladesh insurance academy. Surveyors and insurance agents occupy a prominent position in the insurance market of Bangladesh. In a developing country like Bangladesh, insurance companies are playing a very important role in the economy. Though insurance industry has very prospect in the economy but for some reasons it’s totally failed to achieve its goal. If we want to know the reasons behind this hen we should look forward the following according to Bangladesh General Insurance Company Ltd. In this report the major problems in performing insurance business has been classified into some major criteria which are social, economic, political, legal and other reasons. The actual problems are discussed in detail within these criterions. There are several social problems. They are as follows..
3) Asia Pacific Gen Insurance Co. Ltd.
4) Bangladesh Co-operatives Ins. Ltd.
5) Bangladesh General Insurance Co. Ltd.
6) Bangladesh National Insurance Co.Ltd. 7) Central Insurance Company Ltd.
8) City Gen. Insurance Company Ltd.
10) Crystal Insurance Company Ltd.
11) Desh Gen. Insurance Company Ltd.
12) Eastern Insurance Company Ltd.
13) Eastland Insurance Company Ltd.
15) Federal Insurance Company Ltd.
17) Green Delta Insurance Co. Ltd.
18) Islami Commercial Insurance Co. Ltd.
19) Islami Insurance Bangladesh Ltd.
20) Janata Insurance Company Ltd.
21) Karnaphuli Insurance Company Ltd.
22) Meghna Insurance Company Ltd.
23) Mercantile Insurance Company Ltd.
24) Nitol Insurance Company Ltd.
25) Northern Gen.Insurance Company Ltd.
26) Peoples Insurance Company Ltd.
27) Phonix Insurance Company Ltd.
28) Pioneer Insurance Company Ltd.
30) Pramount Insurance Company Ltd.
31) Prime Insurance Company Ltd.
32) Provati Insurance Company Ltd.
33) Purabi Gen Insurance Company Ltd.
35) Republic Insurance Company Ltd.
36) Rupali Insurance Company Ltd.
37) Sonar Bangla Insurance Company Ltd.
38) South Asia Insurance Company Ltd.
40) Takaful Islami Insurance Ltd.
42) Union Insurance Company Ltd.
43) United Insurance Company Ltd.
2) Baira Life Insurance Company Ltd.
3) Delta Life Insurance Company Ltd.
4) Farest Islami Life Insurance Co. Ltd.
5) Golden Life Insurance Ltd.
6) Homeland Life Insurance Company Ltd.
7) Meghna Life Insurance Company Ltd.
8) National Life Insurance Company Ltd.
9) Padma Islami Life Insurance Company Ltd.
10) Popular Life Insurance Company Ltd.
11) Pragati Life Insurance Ltd.
12) Prime Islami Life Insurance Company Ltd.
13) Progressive Life Insurance Company Ltd.
14) Rupali Life Insurance Company Ltd.
15) Sandhani Life Insurance Company Ltd.
16) Sunflower Life Insurance Company Ltd.
17) Sunlife Insurance Company Ltd.
 Green Delta Insurance Company Limited (GDIC) is one of the leading private non-life insurance companies in Bangladesh. GDIC was incorporated in December 14,1985 as a public limited company, under the Companies ‘Act 1913.  Now, Green Delta Insurance Company Ltd. is amassed about BDT 510.million.  It has 38 branches around the country.  After 27 years of glorious journey in the Insurance sector, Green Delta Insurance Company Limited has now become a big family of 13 respected board members, 600+ committed staff, numerous valued clients and thousands of esteemed shareholders.  Vision Our vision is to mature into a sustainable, coherent organization, raise competitiveness to the highest level in the insurance industry, maintain high profit stability & balanced quantitative growth and exceed customer’s expectations by off erring legendary services, embrace a new corporate identity and creative corporate culture.  Mission Our mission is to create shareholders value through customer’s satisfaction and employee’s commitment to excellence.  Strength Constant pursuit of suitable strategies has made the company the leading insurer of Bangladesh for over two decades.  Belief We believe that client must stand at the center of our all activities. We have the ability to optimally fulfi ll the client’s needs based on risk management with minimum cost and personalized services.  New business’s individual insurance: There are so many new businesses starting every day and manufacturing sector is booming with global demand. Every business is insured under an insurance company to protect its company from any kind of accident. The GDIC is giving service to a huge number of companies. The company is being secured & economy is enriching.  Micro insurance: The GDIC is giving different macro insurance service to much small & median enterprise. As most of the industry in Bangladesh is small & medium, the macro insurance policy is much importance for the economy.  Scope in non-traditional sector: Nowadays, along with traditional insurance services, the GDIC is offering various non-traditional insurance services to their customer. 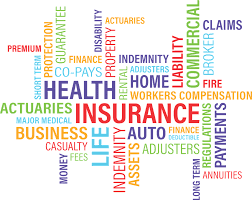 Target market of insurance company may expand and they can offer different types of non-traditional insurance services such as health insurance, personal accident insurance, travel insurance, burglary insurance and pension scheme.  Scope of investment: Insurance companies can usually make more profit from investment activities than from their regular insurance business. The GDIC is realizing this fact and playing role in the financial market. GDIC is making large investment in government bonds, ICB projects and in private sector business.  Service diversification: Insurance is not just a tool of risk coverage. It is also an attractive instrument of savings. The mixture of risk coverage with savings gives the opportunity for innovative product designing which means service diversification. The GDIC is diversifying their service.  Agriculture sector: The economy of Bangladesh is predominantly an agrarian one, with most people engage in farming and fishing. The uncertainty of agriculture due to crop failure caused by climate variation, drought, cyclone, flood and pests affects farmer income as well as government revenue. Furthermore, in the last few years commercialization has occurred in some sections of the agricultural sector. So for that the GDIC is providing insurance in agriculture sector.  Education sector: GDIC is providing different types of scheme to expand education plan insurance.  The Green Delta Insurance Company has a lot of influence in the money market of Bangladesh. DDIC invests a huge sum of money to various individuals, business organizations, institutions and Govt. agency. GDIC provides them fund with short maturity that less than one year. Nowadays GDIC is an excellent field of investment. There is a possibility of loss beside profit in business. Policyholder get full amount with bonus when it is matured.  GDIC has a lot of influence the call money market. Because most of the speculator of various business especially security business are required short term financing. And the major portion of this fund is supplied by the GDIC. Thus GDIC plays an important role in call money market.  Besides this the GDIC invest in mutual fund. Thus GDIC provides long term investment.  GDIC has a underwriting department that has experience and efficiency in underwriting activities. Thus GDIC facilitates the flow of fund from surplus unit to deficit unit.  GDIC collets many small unit of premium from many retail investors and they invest these amount of fund to the institutional borrowers. Thus they contribute to the enrichment of money market. A) Threat of Substitutes: Industries are more attractive when the threat of substitutes is very low. Here the threat of substitutes is very high because there are many banks and non-banks financial institutions. So the profitability is not up to the mark. That is why the insurance industry is less attractive. B-1) Economies of Scale: The more the area of services the more the profitability due to the economies of scale. So the profitability is higher. B-2) Product differentiation: The more the product differentiation will be, the more the profitability will be. As an old company GDIC has a good product differentiation than the other company in the market. B-3) Capital Requirement: As it has a strong capital position in the market, so the new company may fail to compete due to shortage of capital. B-4) Cost Advantage: As it was established earlier in the industry, it has a significant cost advantage. So there is good profitability in the market. C) Rivalry among Existing Firm: The less the rivalry will be, the more the profitability will be. C-1) Number of Competitors: Here the number of competitors are more so the profitability will be lower. C-2) Growth rate of industry: The competition among firm in a slow growth industry is stronger than among in first growth industry. As insurance is slow growth industry it must fight for market share which may tempt them to lower price or increase quality ton get customer. D) Bargaining power of supplier: As the customer is less, switching cost is lower; attractiveness of substitutes is good and thereat of forward integration is higher. So profitability will be lower. E) Bargaining power of Buyer: There GDIC’s products are standard so the profitability is higher.